Recently, I've actually downsized my skincare routine. I have always been an advocate for nourishing your skin with quality products, and I still am. Lately, however, I've realized that slapping a million different products on my face doesn't really make a difference. For some people, maybe it does. I just decided to simplify things a little, and my skin seems to be loving it. Today I'm going to share my skincare routine. I've tried a LOT of skincare products and I think I've finally found the items that I feel work best for my skin. I love my skincare routine; it's simple, quick, and effective. Okay ladies, put down the makeup wipes. Cleansing oil is the BEST way to remove your makeup. 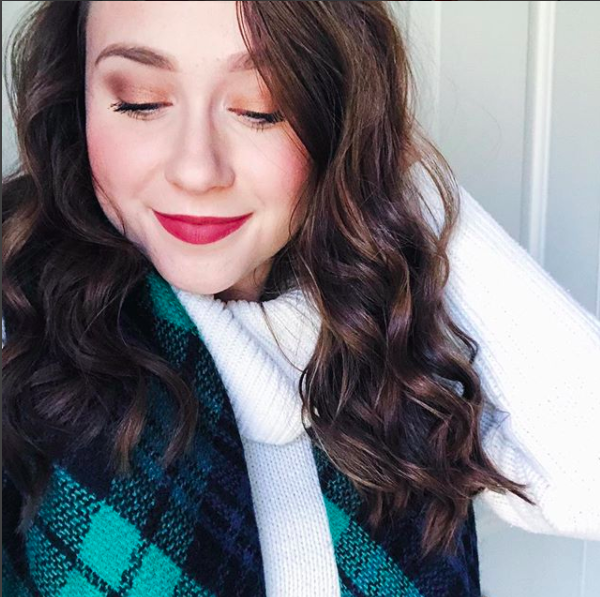 While I don't wear makeup every single day, this is my go-to when I do. It practically dissolves the makeup from your face instantly, and leaves your skin feeling soft as can be. After using this, I honestly don't think I'll ever go back to makeup wipes. It even takes off waterproof mascara like a dream! 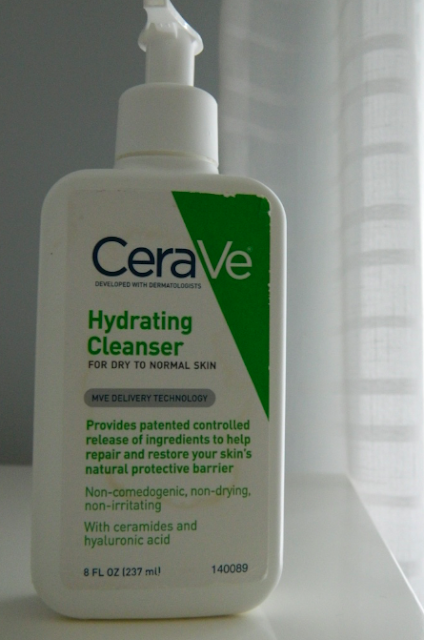 I truly cannot recommend a better cleanser than the CeraVe Hydrating Cleanser. I used to have very oily skin, but within the last year that has completely changed. My skin became flakey, itchy, and red. I had to stop using a foaming cleanser that I had been using forever, and started researching cleansers for dry skin. The bottle says dry to normal skin, but it's been amazing for my dry skin. When you apply it, it almost feels like your washing your face with lotion. It's fabulous. I use this cleanser morning and night. It removes makeup leaving my skin feeling clean, refreshed, and hydrated. Even though my skin in fairly dry, I still don't exfoliate everyday. I've read in a number of different places that exfoliating every single day isn't good for your skin. I usually end up exfoliating every other day and this has been working fine for me. 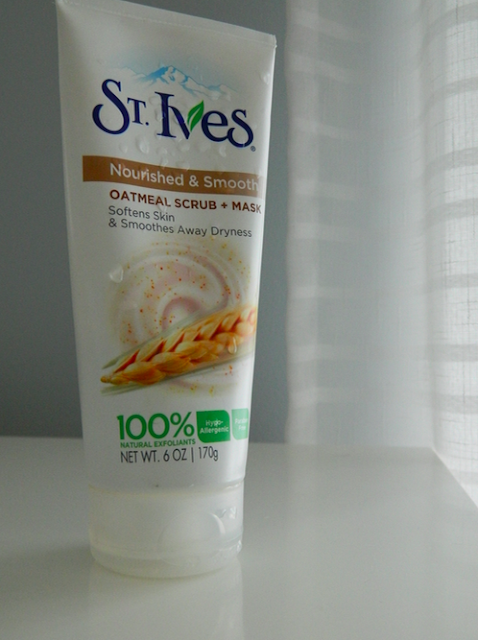 The St. Ives Oatmeal Scrub and Mask is fantastic. I've been using this product for awhile and I can't get enough of it. First off - it smells amazing. I absolutely love putting it on my face because it smells SO good and leaves my skin feeling really soft. I typically use it as a scrub, but occasionally I'll take advantage of the two-in-one scrub and mask and actually use the mask. The St. Ives Timeless Skin Moisturizer is a pretty new addition to my skincare routine, but so far I love it. St. Ives has tons of great affordable skincare products, so check them out if you're on the market for something new. A friend recommended this moisturizer and I totally understand why now. It leaves my skin feeling like butter, and I'm almost tempted to use it as a body lotion at this point. 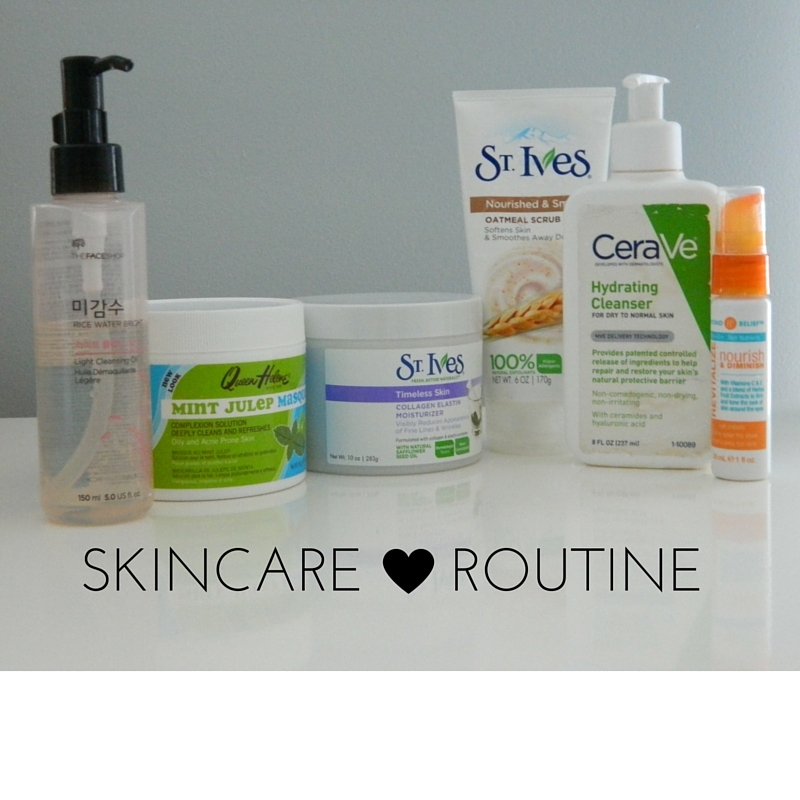 Whether I used my CeraVe cleanser or my St. Ives scrub, I always use this product to moisturize my skin right after. The Vita C+ Nourish and Diminish Eye Treatment is an awesome affordable option for eye cream. I'm not really sure why, but eye creams can get extremely expensive. I don't have any huge issues with my under eye area, so I decided to go with this affordable option rather than a more expensive one. I'm so glad I did because this stuff is great. It comes out sort of like a gel, and absorbs into the skin really quickly. Because of this stuff my under eyes are never puffy! It's helped a lot with dark circles as well. I've been using the Queen Helene Mint Julep Masque forever and it's amazing. This huge tub was literally $5 dollars or less. I use this as a weekly mask, but you can easily use it as an acne spot treatment as well. It draws out impurities almost instantly. such a great post! that face mask sounds awesome! It is! So affordable too! I'm glad you finally found products that work for you. I literally don't know what i'm doing with my face, i still use a bunch of different products. I also love Body Shop! I'm obsessed with their body butters. I will have to try some more of their products! Such a great post! I love St Ives! I love hearing about other peoples skin care routines. A perfect skin care routine is something that I am always striving to achieve. Thank you. its great to know about your skin care routine. very beneficial for me. I'm so glad! Great products. I looooove CeraVe's products- so good for your skin + at a great price point! I use the St Ives Moisturiser too it's so good!! I'm so glad I started using it! Great post. I moved to Southern California a few months ago and since moving out west to LA, my skin has been so flaky and dry that it's causing breakouts and I'd never had such a problem before. 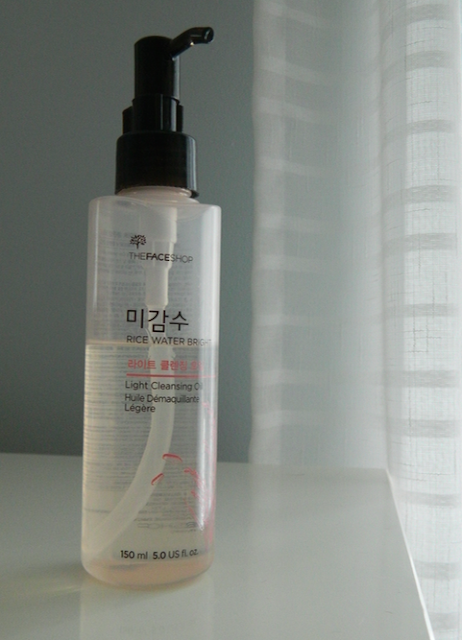 I started using a Korean oil cleanser Amore Pacific on a day I wear make up and I love it. I usually use Neutrogena acne cleanser with those exfoliating beads or St Ives apricot scrib, but I think I'll try it every other day now and see how that goes for awhile.